Thanksgiving, the holiday that has been pushed aside by Christmas and trampled by Black Friday! It still is a fantastic time to reflect on what we have been blessed with as individuals. I am blessed with a loving, caring wife, three children, and 11 grandchildren. I am blessed by an abundance of most things – even though at times I may feel that I “need” more. I am blessed that I do not have to go to sleep at night listening to the sounds of gunfire as gangs are fighting on the other side of the building next door. This is the current experience of the young ladies who are living in The House of Hope. These young ladies are my extended family in Chile and are truly a blessing to know! I am thankful that they have The House of Hope to live in while they are studying and working to not only change their own lives but also the lives of children from the neighborhood, schools and hogars (orphanages). I am thankful that these young ladies are willing to share the love of Jesus through Hope Community, Kids Zone and the educational classes! I am thankful for each who gave sacrificially in time and money to build The House of Hope and to do all the work in the hogar before that! When we give of our time and money to help those in need, we are giving to God. Most of all, I am blessed by a loving Heavenly Father that sent His only begotten Son to die for my sins (and yours) allowing each of us to be able to experience eternal life! If you feel blessed, why not support the work in Chile with a recurring gift? This time of year is one in which giving typically slows down. You can be a major blessing with a special, one time gift! 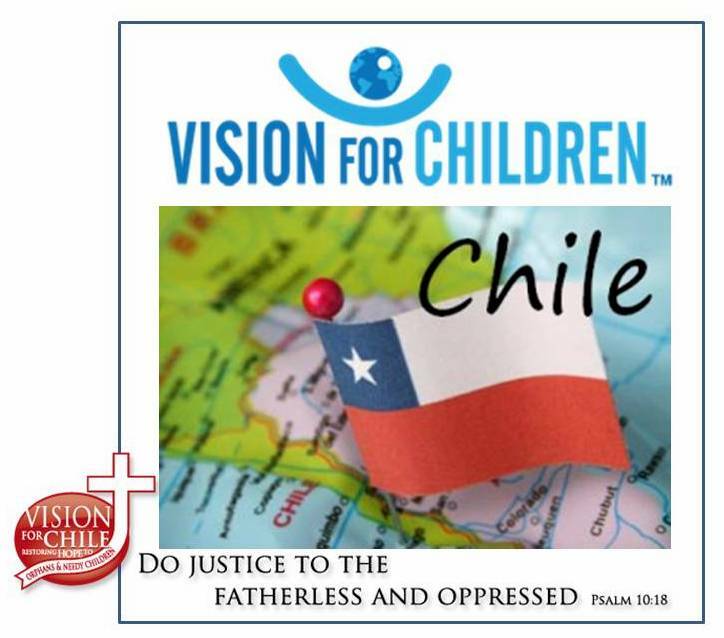 Thanks to each of you who faithfully support Vision for Children, Inc. by going, giving, or praying! Our next team will be going to Santaigo the last Saturday of February, 2016. Thanks to the people, churches, and businesses of Santiago that donate their time and gifts! Bob Howen, President, Vision for Children, Inc.